If you are accustomed to the dry heat of Coachella, the cooler, moister environment of Outside Lands offers a nice contrast. 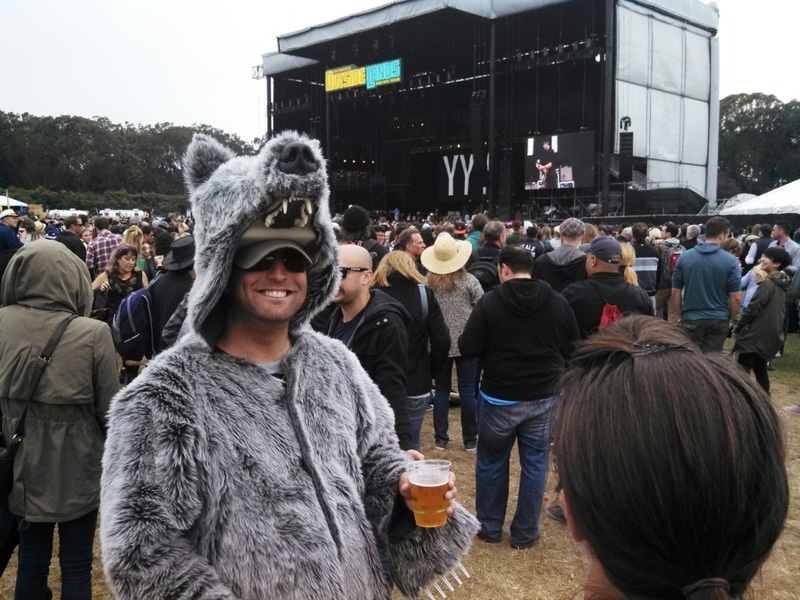 Here are a few observations from a veteran Coachella fan attending his first Outside Lands. Whereas Coachella is on a large flat area of contiguous polo fields, Outside Lands meanders over a rectangular area of San Francisco’s Golden Gate Park. Proximity to the ocean ensures a steady, moist breeze. Over the course of the three day Festival, the sun peeked through occasionally, and sunglasses were more a fashion statement than an optical need. The largest stage at Outside Lands is set on a polo field, and featured headliners Paul McCartney, Nine Inch Nails and Red Hot Chili Peppers (the latter also closed Coachella earlier this year). Outside Lands pumped an estimated $60 million into local economy. 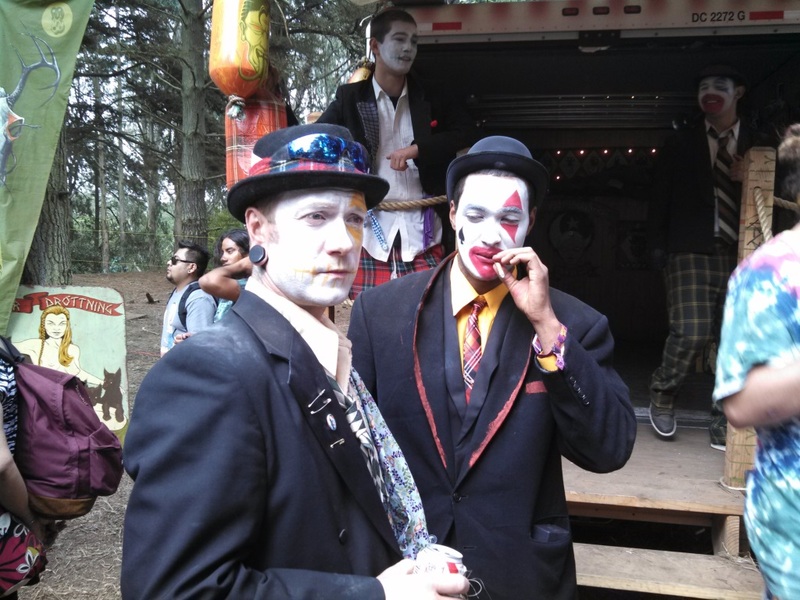 Amazingly, the festival drew no power from the city grid; instead all power needs were from biodiesel generators. There were 65,000 daily attendees. The promoters got permission this year to bump capacity to 80,000 but they decided to hold off for now. “It’s important for us that everyone is comfortable,” said Allen Scott of Berkeley promoter Another Planet Entertainment. 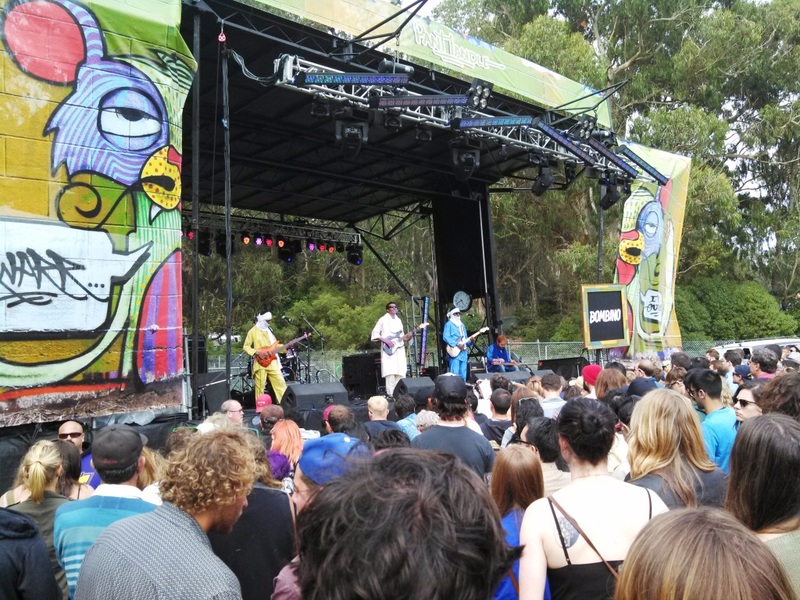 But for a glaring exception, there was surprisingly minimal sound bleed at Outside Lands, because most of the four main stages were separated by trees and rolling terrain. I recall the sound at Coachella being stronger, but Outside Lands is prey to the shifting winds which likely cause headaches for the sound mixing dudes. The vibe at both festivals is equally relaxed, although there is more commerce and sponsorship evident at Outside Lands. A brief chat with a San Francisco Police representative reported very few drug or drinking hassles; the biggest number of infractions according to one officer were fence jumpers. An understandable emphasis at Outside Lands is the sustainability theme, so bike riding and public transportation are encouraged. Nonetheless, Uber, Lyft and Sidecar are likely big beneficiaries for folks wishing to avoid the public transportation crush. Extraction from the venue on Sunday night was especially difficult. The huge Wine Lands tent featured an overwhelming array of choices, although the Portugal Wine booth seemed empty and out of place. Similarly, Beer Lands at the opposite end of the large Lands End stage was tapping steadily through the weekend. 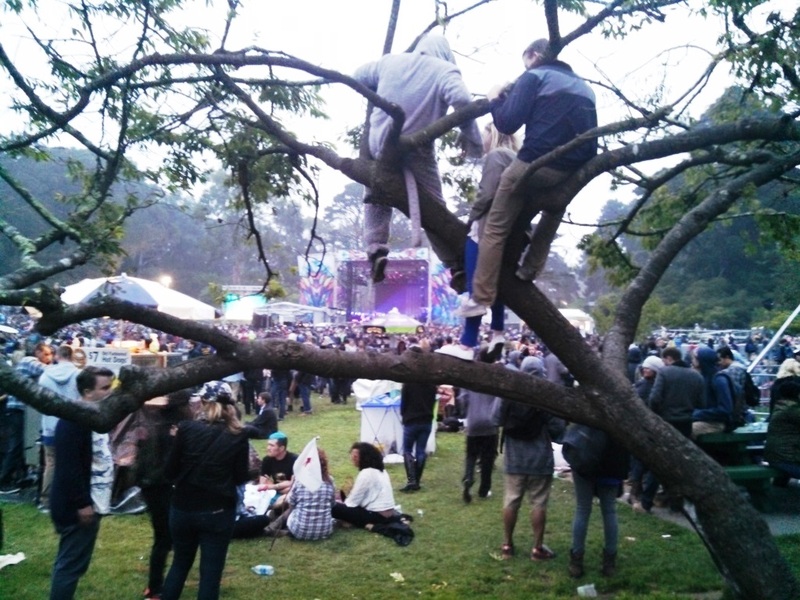 Whereas most of the Coachella dust was outside the concert area, the paths through the huge eucalyptus trees at Outside Lands were mostly raw, causing folks to kick up dust while traversing across the site. 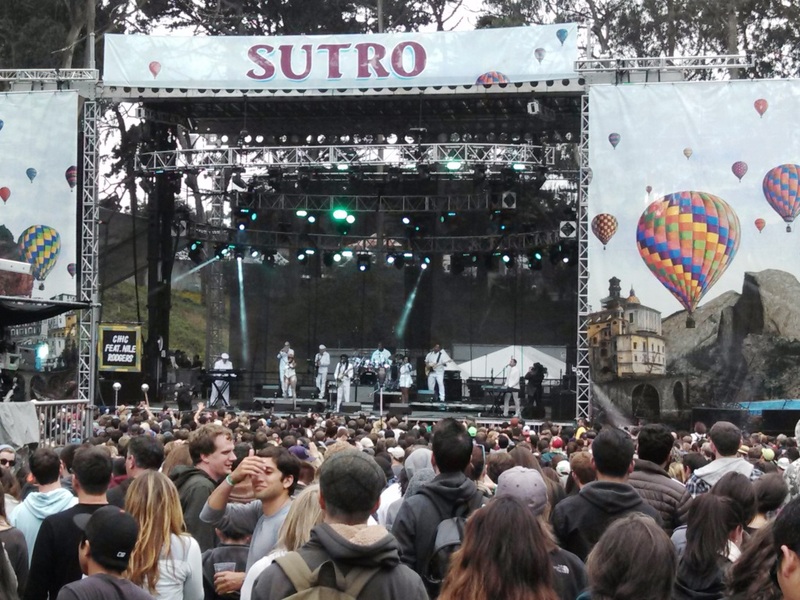 The Sutro Stage is closest to Lands End Stage, so there was a bit of sonic bleed. But the natural bowl of Lindley Meadow afforded a great setting for Sutro. The musical highlight there was Chic and Nile Rodgers after D’Angelo dropped out for medical reasons. Rodgers pointed out that his first gig of consequence was in San Francisco. He ran his tight band through an impressive string of hits, including a medley of songs in which he had significant influence, such as “We Are Family” (which I recalled hearing non-stop on college visits to Skidmore) and “Let’s Dance” (to which the Thin White Duke added some of Rodgers’ funk credibility). The contributions to this summer’s Daft Punk hit “Get Lucky” testified to Rodgers’ prowess. Willie Nelson took to the Sutro Stage on Sunday, after heading north from his Hollywood Bowl gig the night before. His well-traveled tour bus was parked outside the gate. In fact, fewer tour buses make the festival rounds as premier acts find it more efficient to jet from festival to festival. This opened up space behind the main stage, making life easier for the festival stage crew. The Panhandle Stage is the smallest of the four primary stages, and was completely powered by solar and alternate energy. Bombino’s eclectic guitar sounds melded his Tuareg culture from Niger with an infectious groove. The venerable Nonesuch label was smart to sign this band. Saturday’s headliner on the Twin Peaks stage was Phoenix, another Coachella regular. I was standing in line for some slices at the well-named Escape From New York Pizza when I got into a chat with a couple Frenchman. I assumed they were heading over to see their countrymen, but they said “Ah, non…we have seen them so often back home. We need to see Nine Inch Nails!” In a bid for a bit of one world camaraderie, I suggested they try the pizza “avec pomme de terre” and they concurred they had indeed ordered the potato, pesto and garlic pizza. The eclectic food offerings at Outside Lands were a highlight. 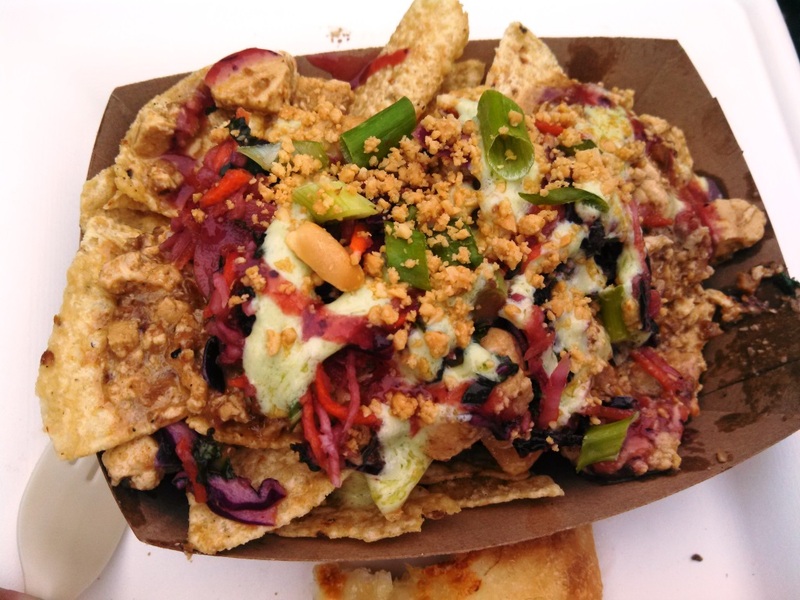 With some trepidation I tried the Malaysian nachos, but I was soon relishing the blend of tofu, peanut sauce cabbage and spicy curry. My English friends were enamored of the charcuterie offering; that food stand (with its leg of meat being carved to order) was noticeably set far apart from all the vegan food stands. We also were dazzled at the porcini donuts. I saw Nine Inch Nails at the rainy Woodstock 1994, and had I taken better care to file my photos I would be including here some images from their infamous roll in the mud backstage before taking the stage moments later. That clever move endeared Trent Reznor to his fans for decades. I split Saturday’s evening’s headliners, with a bit of Phoenix and finishing with the aural assault of NIN. The former were energetic and heartfelt, but insufficiently innovative. The latter seemed to modulate their usual industrial noise into what could be deemed melodies. Indeed, as we were walking between Phoenix and NIN we passed a noisy generator and my buddy quipped that was actually Reznor’s new single. Sunday late afternoon was misty, but Hall and Oates brought their Philly blue-eyed soul to a crowd ready for some retro sounds. Sadly, there was a festering sound bleed that diminished too much of the duo’s set. The bright collegiate sounds of Vampire Weekend followed, and they drowned out any lingering sound bleed. But the peak gig at Outside Lands was from a 71 year old Brit who arguably has an unparalleled songbook from which to craft a show. McCartney has also headlined Coachella and Bonnaroo, and at Outside Lands he again wowed several generations of festival goers with a set that displayed his consummate talent. For many years after the Beatles disbanded, McCartney avoided those songs. Over the decades he began to embrace his legacy. By adding highlights from his Wings and solo years, he is able to build a setlist nearly three hours long with nary a dull moment. His video array was the biggest of the weekend, as he brought in his own production. The video screens used for all the other acts paled in comparison. Scratch not very deep, and any of the other artists appearing at Outside Lands would admit to holding McCartney as a laudable role model, doing what he loves for his amazed fans, at his age for several hours.